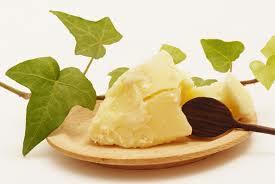 Shea butter is one of the world’s most superior moisturizers and skin conditioners. 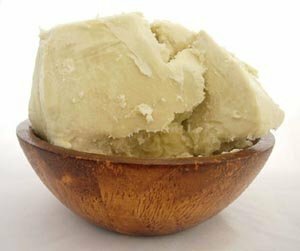 Although shea butter is edible and has been widely used in food preparation in Central Africa, it is widely used in cosmetics, salves, lotions, soaps and hair products to hydrate, heal and beautify. Unrefined shea butter is extracted from the nut of the African karité tree which grows wild on the savannahs of West and Central Africa. It is naturally rich in a number of vitamins including Vitamins A, E, F and K. These vitamins are known to balance and normalize the skin keeping it clear and healthy, have soothing and hydrating properties, and act as a skin protector and revitalizer. 1. Massage into dry, cracked or chapped skin in need of moisture, especially on tougher areas such as elbows, knees & heels. 2. Massage into hair and scalp for a deep conditioning treatment. 3. Mix with your favorite essential oils to create your own custom moisturizer. 4. Apply on hands, nails and cuticles for softening. 5. Use as a balm for chapped lips. 6. Put some around hairline before color application to protect skin from stains. 7. Use a small amount to set eyebrows. 8. Use as a soother to calm dry itchy skin after a day in the sun. 9. Rub some between hands to warm up, and use as a massage balm for fatigued muscles and joints. 10. Use on baby’s bum to prevent diaper rash. 11. Rub on pregnant belly to reduce appearance of stretch marks. 12. Apply on fading scars and burns to help them heal. 13. Use on roots of fine hair to boost volume. 14. Drop a few tablespoons in bathwater for extra moisturizing. 15. Mix with your everyday hair conditioner for a deeper, more nourishing treatment. Sunfood Superfoods is a brand of unrefined shea butter which I highly recommend. It’s vegan, raw, non-GMO, and a wild-crafted sustainably harvested shea butter. Since it’s produced by a women’s cooperative in Ghana, it helps bring some economic stability to the villages, and gives the women economic power that they didn’t previously have. 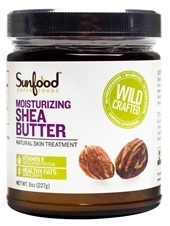 Sunfood Superfoods Shea Butter can be purchased on their website, on Lucky Vitamin, or on Amazon. There are several other products I have been using and loving containing shea butter, although these products contain other ingredients as well. 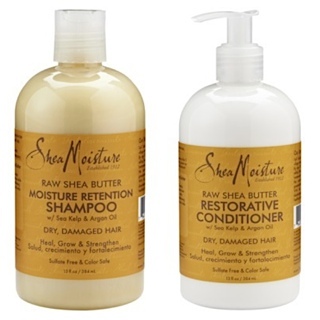 Shea Moisture’s Raw Shea Butter Moisture Retention Shampoo and Restorative Conditioner delivers on its promise to “heal, grow & strengthen” dry, damaged hair. I love these all-natural, sulfate-free, paraben-free, and phthalate-free vegan hair products because they truly moisturize and clean my overly-processed highlighted hair. Not only do they contain other rich ingredients such as Sea Kelp and Argan Oil, but they’re color-safe too! You can purchase Shea Moisture’s Raw Shea Butter Hair Products at various retailers including Whole Foods and Target, or online at Amazon. I am a huge fan of Nubian Heritage’s African Black Soap, and Nubian’s Raw Shea Butter Soap is another great option for me as a facial soap. This soap has a lovely mild scent, and it leaves my skin feeling clean and nourished without any drying effects. I love many of Nubian Heritage’s products, but not all of them are vegan; so make sure to read each product’s ingredients carefully. 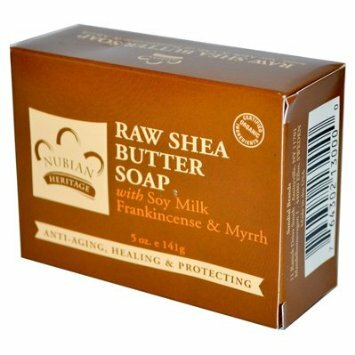 Luckily, Nubian’s Raw Shea Butter Soap is vegan, and is made with other ethically traded ingredients including cocoa butter, coconut oil, soy milk, frankincense and myrrh. 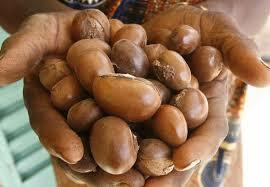 Nubian’s Raw Shea Butter Soap can be purchased in various health food markets, at Whole Foods, or online at Vitacost. 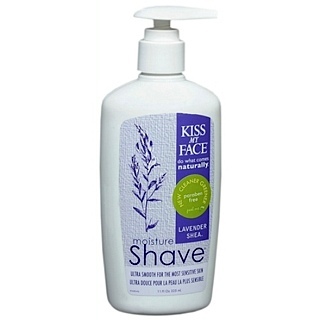 Kiss My Face Lavender Shea Moisture Shave is another great product containing shea butter as one of its ingredients. Using a shaving product is new to me (I settled for soap), and I was pleasantly surprised at how smooth my legs felt after using this lotion for the first time. I have very sensitive skin, but this moisturizing formula with shea butter, soothing aloe and olive oil (plus other botanicals) gave a really great shave. Kiss My Face Lavender Shea Moisture Shave is free of parabens, artificial colors, preservatives, and animal ingredients. I purchased mine at Whole Foods, but it’s also available on the website of Kiss My Face, or online at The Vitamin Shoppe. 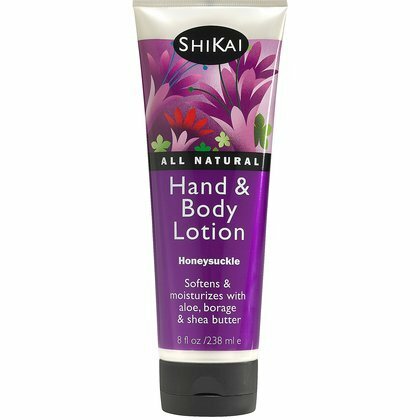 Although I have been using ShiKai’s All Natural Hand & Body Lotion in Honeysuckle for many years, there are many other varieties to choose from. This soothing product provides a soft and silky feeling after application because it’s made with shea butter, aloe, borage oil, and other moisturizing natural ingredients. I’m happy to report that it’s also vegan and certified organic. You can purchase ShiKai’s products at various retailers, including Fairway Market, Whole Foods, or online at Amazon. 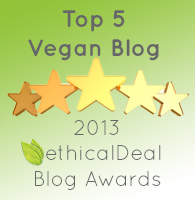 I hope you enjoyed hearing all about shea butter and some of my favorite everyday products. I’m always on the lookout for vegan, cruelty-free and clean “style & beauty” products, and you can be sure that I’ll keep you updated on any new finds (or old favorites). Click here to read about DIY Ways To Use Coconut Oil And Ellen’s Favorite “Coconutty” Products. 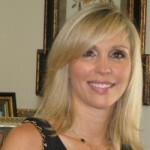 Click here to read about Multi-Tasking With Argan Oil And Products I Love With Argan Oil. Hello Derby, i really enjoyed your article on the use of shea butter and its importance…my question is can this plant be grown at a room temperature?